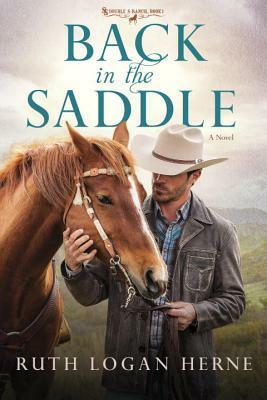 Today I am reviewing Back In The Saddle, the first book in the Double S Ranch series by Ruth Logan Herne. It’s been a long time since Colt Stafford shrugged off his cowboy legacy for shiny Manhattan loafers and a promising career on Wall Street. But when stock market manipulations leave him financially strapped, the oldest son of legendary rancher Sam Stafford decides to return to the sprawling Double S ranch in Gray’s Glen, Washington. He’s broke, but not broken, and it’s time to check in with his ailing father, and get his legs back under him by climbing into the saddle again. Colt’s return brings new challenges. Younger brother Nick has been Sam’s right-hand man at the ranch for years and isn’t thrilled at having Colt insert himself into Double S affairs. And the ranch’s contentious relationship with the citizens of Gray’s Glen asks all the Stafford men to examine their hearts about what it truly means to be a neighbor. And as Wall Street recovers, will Colt succumb to the call of the financial district’s wealth and power—or finally the courage to stay in the saddle for good? Ruth Logan Herne is beyond amazing! Somehow, even though I’ve read most of her books, she continues to amaze me with her wonderful stories, full of interesting, colorful characters, living in small towns and/or big cities. Back In The Saddle was so much fun to read . 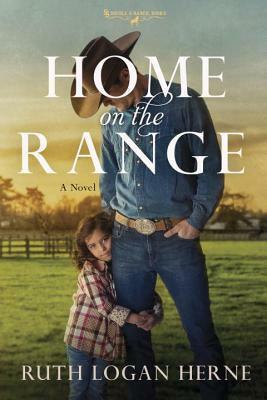 . . Angelina Morales isn’t happy to see Colt Stafford return to the Double S ranch – and she isn’t afraid to show it. Colt comes crawling back, broke and hoping to step back into the place he held before he left home. But will it be as easy as he thinks? You won’t know until you read the book – and you should read the book. I’m sure you’ll be as entertained as I was… all the way to the end. Don’t miss out on this fantastic new book from Ruth Logan Herne. 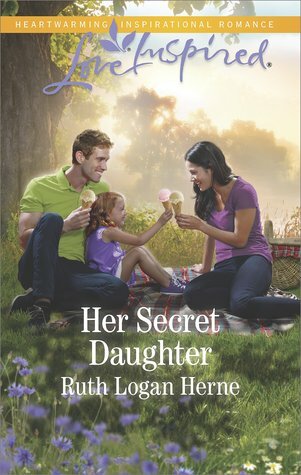 Today I am reviewing Her Secret Daughter, the fifth book in the Grace Haven series by Ruth Logan Herne. Josie Gallagher has plenty of reasons to be wary of Jacob Weatherly–considering he’s working for the hotel chain that’s forcing her restaurant to close. But when he shows up there with a little girl by his side–her little girl–she’s dismayed. How has this bachelor wound up with custody of the baby Josie placed with a married couple six years ago? The handsome hotel executive has no idea that Addie is Josie’s biological child, and Josie can’t afford to tell him. As he helps save her business, Josie and Jacob unexpectedly grow closer. But will her secret stand in the way of their happily-ever-after? Her Secret Daughter is so much more than I expected, even by Ruthy! This is a story that needs to be told. . . and the title is perfect. Josie Gallagher has had a rougher life than some of the Gallaghers, but she’s back on track, plus she can smoke and cook barbecue than anyone on the east coast! Jacob Weatherly comes along, bringing the little girl Josie gave up six years ago — and Josie’s life will never be the same! But a word of warning. . . you’ll need tissues before you get to the end of the book. I enjoyed getting to know Josie, Jacob and Addie. Their friendship is the start of something very special, unless her secret messes everything up. Read Her Secret Daughter to find out what happens. . . and if they have a chance at happily-ever-after or not! I hope the story blesses you as much as it did me. 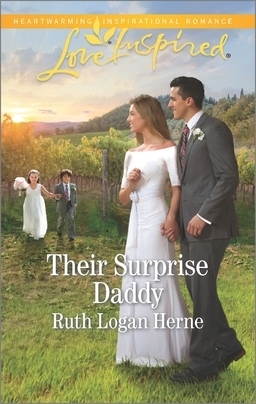 Today I am reviewing Their Surprise Daddy, the third book in the Grace Haven series by Ruth Logan Herne. Cruz Maldonado has vowed to provide for his beloved cousin’s orphans. With his estranged mother’s health failing, they might soon be Cruz’s only family. But the kids’ immigration status brings complications. Mostly “Miss Rory”–their idealistic young teacher–and Cruz’s court-appointed co-guardian. Cruz has the means to give the kids a good home, yet Rory Gallagher wonders whether he has the heart. That is, until she glimpses the sweet small-town boy inside the polished, handsome Wall Street exterior. Soon they both begin to wonder if this temporary partnership could turn into more–a chance to raise the children as husband and wife. The Grace Haven series is one you don’t want to miss out on! First, there’s An Unexpected Groom, with Kimberly Gallagher and Drew Slade. . . then comes Her Unexpected Family, with Emily Gallagher and Grant McCarthy. . . and finally Their Surprise Daddy, with Rory Gallagher and Cruz Maldonado. Their Surprise Daddy deals with two orphaned cousins, who need someone to care for them after their guardian takes sick. There are plenty of twists and turns in this story, but in the end will everything work out for everyone involved? You’ll have to read the story to find out — I’m not telling! This a a great series, with characters you’ll fall in love with! Ruthy has created a small town that’s safe, beautiful, historic, and inviting. . . what more can I say to convince you it’s a great town — and a great series! This series touched me more than some others, although with Ruthy’s books, it’s difficult — if not impossible — to pick specific favorites, because they’re all so good! So grab your tissues and start reading. If you haven’t read An Unexpected Groom and Her Unexpected Family, I can honestly say you’ll enjoy them — and I’d suggest getting all three and reading them in order. You’ll be blessed by them! Enough said. Now go read them. 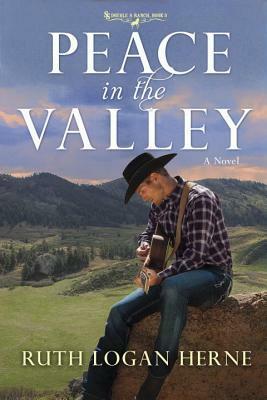 . .
Today I am reviewing Peace In The Valley, the third book in the Double S Ranch series by the incomparable Ruth Logan Herne.